With five NBA Championships, an Olympic gold medal and various MVP awards to his name, Earvin “Magic” Johnson will go down as one of the greatest basketball players of all time. But the former Laker may be remembered for his business skills as well as his signature hook shot. 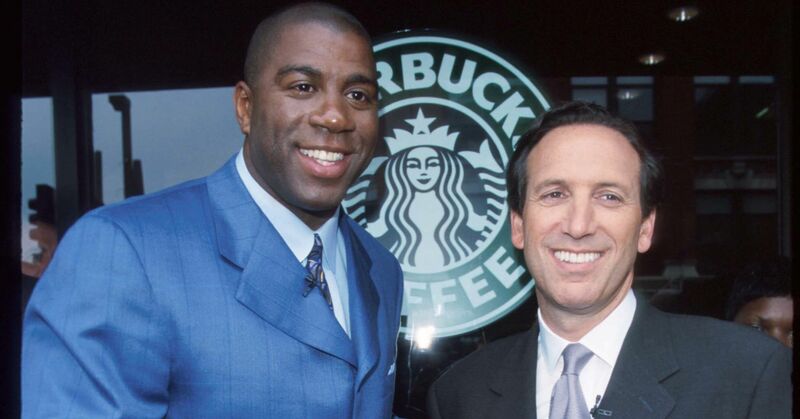 Since retiring from basketball in 1991, Johnson has focused on building Magic Johnson Enterprises, a billion-dollar conglomerate he formed in 1987 that invests in a variety of companies and owns Burger King restaurants, health clubs and professional sports teams. From 1998 to 2010, Johnson’s company owned more than 100 Starbucks stores. The deal he struck with the former Starbucks CEO Howard Schultz “is what really stamped me as serious businessman,” Johnson tells Maverick Carter in an episode of “Kneading Dough,” presented by Uninterrupted. But the deal took work — and a bit of creativity. 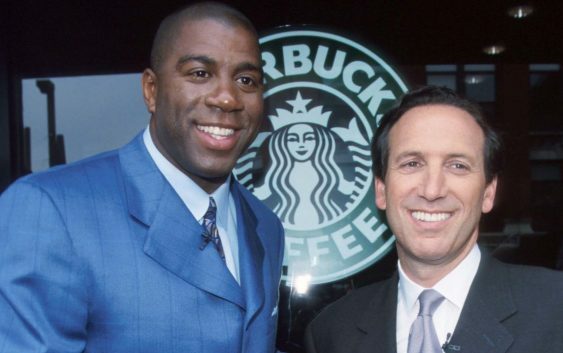 Johnson wanted to bring Starbucks to the inner city, and he had to convince Schultz that his coffee shops would prosper there. His boardroom pitch wasn’t enough to win Schultz over, so he changed his strategy and invited the CEO to one of the movie theaters he owned at the time. The business partners created Urban Coffee Opportunities and, in 1998, the first UCO store opened in Ladera Heights, California. “That deal changed everything,” Johnson says on “Kneading Dough.” “We built 125 stores. We made that deal happen and that’s what really put me on a path of success. … It showed everybody that I could drive ROI in urban America. The 1998 deal with Starbucks is what Johnson calls a “game-changing deal,” and those are the only deals he’s after these days. “I don’t want to do a regular deal,” Johnson tells Carter, adding that everybody gets mad now when he passes on a partnership or business opportunity. Don’t miss: When a competitor tried to buy Starbucks, Howard Schultz was rescued by Bill Gates Sr.